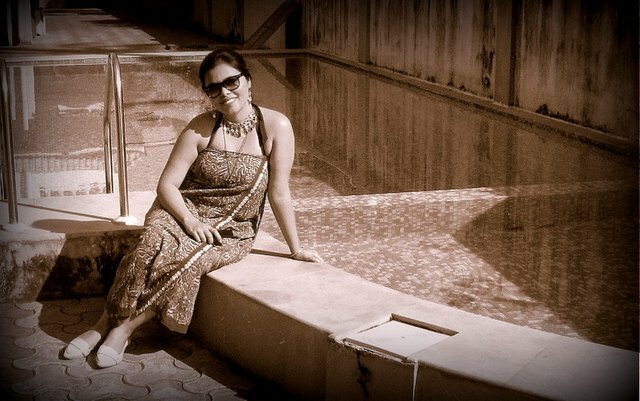 My love for Sarees knows no bound. 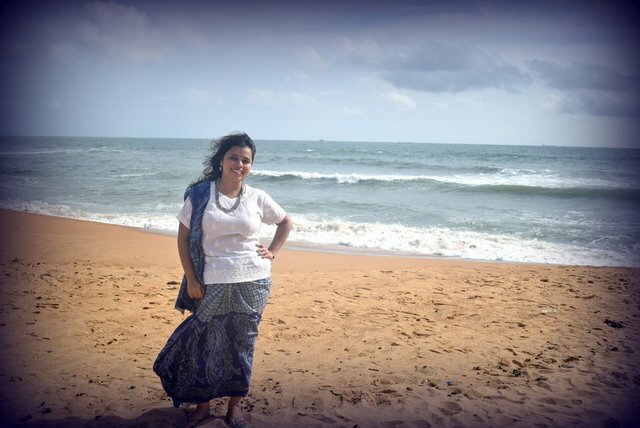 I have seen my mother, aunts, grandmother wear nothing but a piece of Saree and trek the Himalayas or swim in the Bay of Bengal. The seemingly meek confrontation of fellow schoolmates uttering “I cant do this.. I cant do that.. wearing a saree” never sounded convincing to me thanks to the amazing ladies I have known from my family. here is an ode to them…. 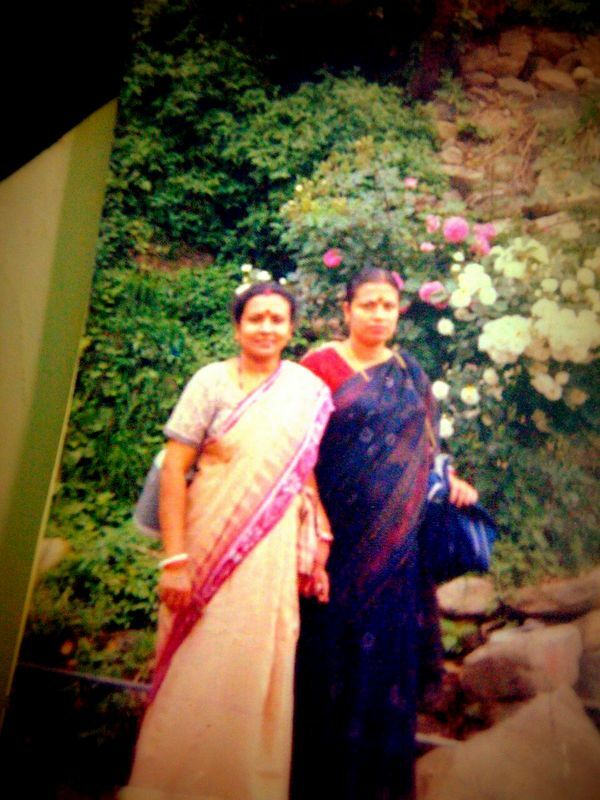 Ma wearing a chiffon saree and Bomma on the left, my aunt, wearing a hand-loom cotton Saree. At a temple in Shimla, Himalaya, India. Do not miss the handkerchief tucked in the waistline!!! 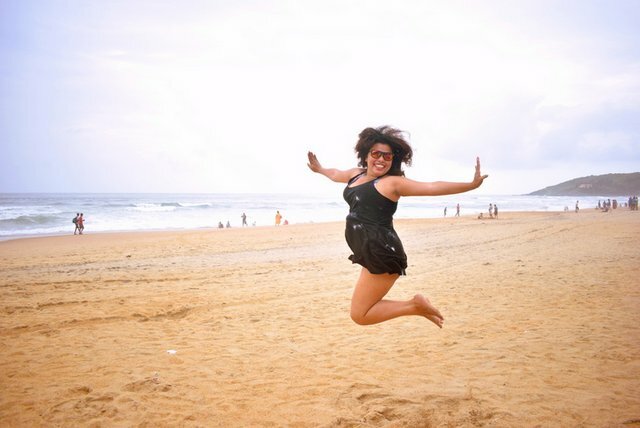 I am a travel blogger and wish to remain so for the next course as my blog grows. However I must establish the fact Sarees are an essential part of my backpack! 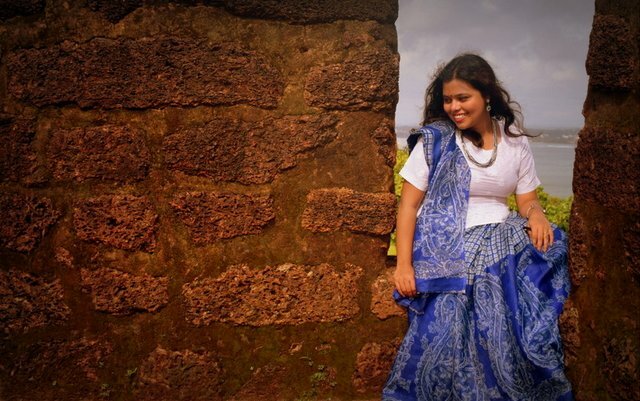 I embark on my journeys mostly with the least of frills and can only make exception in case of a saree! So when Goa happened, amid the monsoon cloud, I had to carefully pick one 6 yard of wonder to suit the mood. Here goes the saree that my mother owned as the first one in her wardrobe! 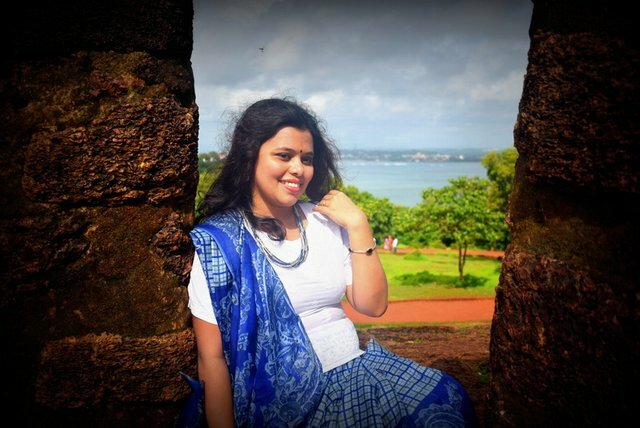 Presenting an indigo hued day for hue, from atop Agoda Fort, Goa! I teamed it up with a Chikankari top! 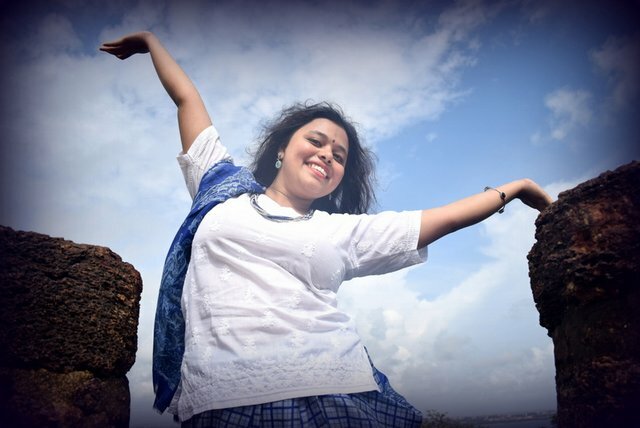 Chikankari is a style of woven fabric, from Luknow! My saree musing are for days sunny and bright indeed. For a perfect sunbath I needed something comfortable and easy to slip in! So here comes my black little dress! I just love it! And it oozes out vibrancy only with a touch of cherry red lips! 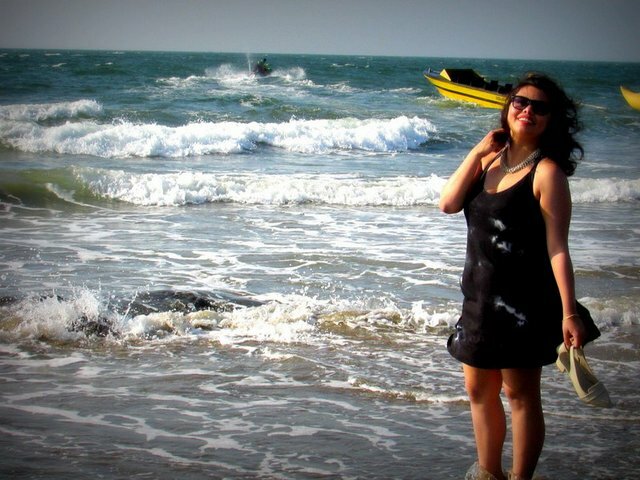 The white waves, the bright days! It sure helps to jump! Bend it like an arch! The little black dress screams gorgeousness, allow me to be a bit narcissistic! There is a certain amount of nonchalance in lovers’ continuous meets! 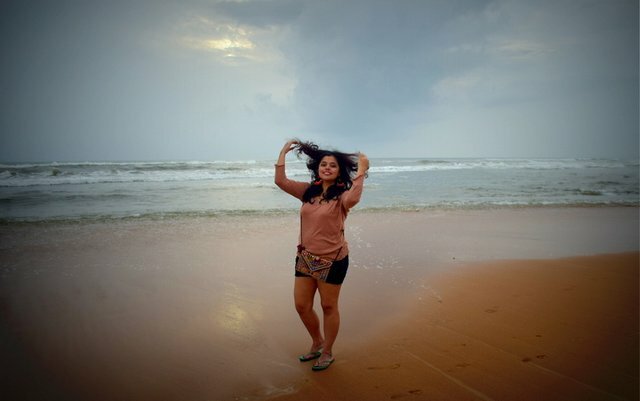 This is me meeting the Baga beach for second time! My attire is direct from the malls of Bangkok! The top and hot pants are from Bangkok! The purse is from Goa. The ear rings are a gift from the streets of Kolkata! This headband is one I shopped from Hampi! You do find this quirks of beauty from the vast wilderness Hampi is. Let me quickly head back to the beauty of cotton. The cotton kalamkari wrap on, I collected from an exhibition in Bangalore, is styled on sea-green base and a detail band with red stripe is woven at the end. I love to wear it as a skirt, sometime I use it as a beach cover up. 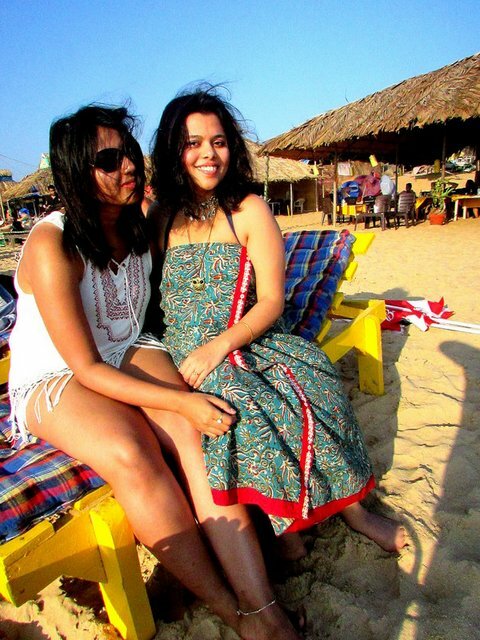 The romance is apt for Goa beaches! 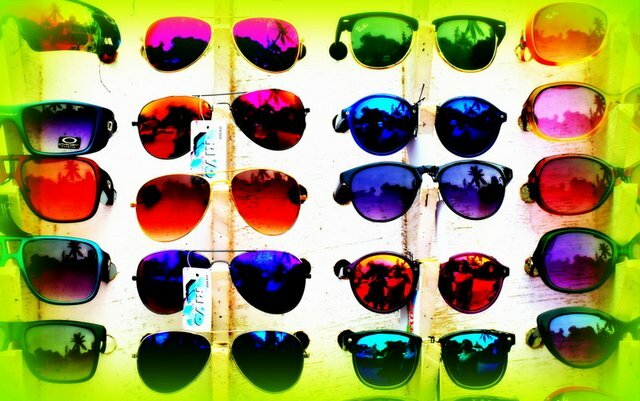 The multicolored shades available only for INR 100! And you? 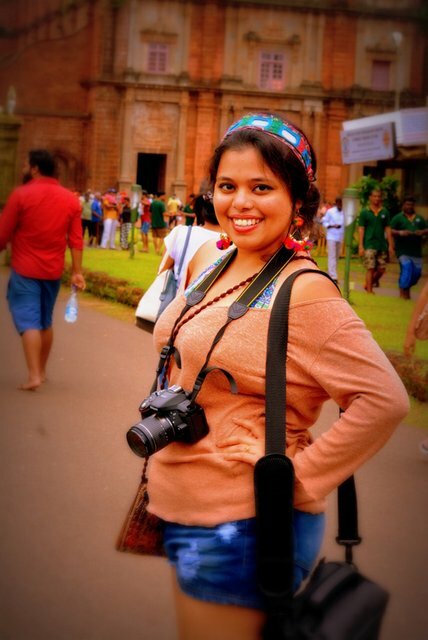 what is your favourite style in Goa? Let me know in the comment section so that I can find some inspirations! Thank you so much 🙂 I love blogging because of these unexpected rewards. Take love!